An ultra-light, fast-absorbing serum that delivers an instant tightening effect along with radiance to revive dull, tired skin. Signature LE LIFT ingredient 3.5-DA* and three essential vitamins  B3, C and E  come together in the serum to help provide immediate anti-fatigue benefits for a firmer and smoother look. The complexion is visibly rested, refreshed and full of youth. Researchers isolated a remarkably potent extract from the Edulis Morning Glory and created a patented compound 50 times more concentrated than the original molecule. The resulting ingredient, 3.5-DA*, intuitively detects and targets individual factors of aging to restore skin to its optimal firmness**, while improving tone and suppleness. **Based on self-evaluation test conducted by 30 women. Use daily or as needed for an intense lift. 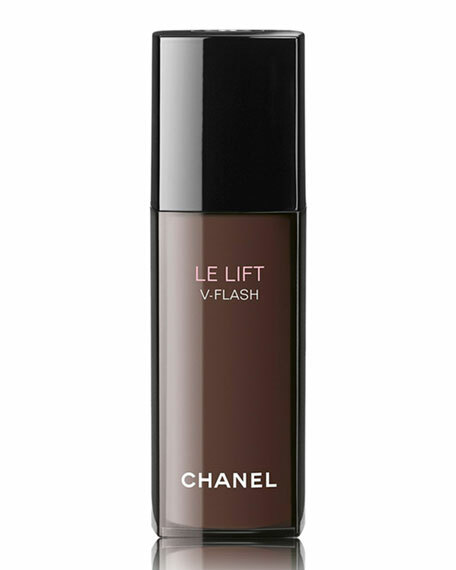 Apply before LE LIFT SÉRUM and follow with LE LIFT cream for enhanced results (both sold separately).